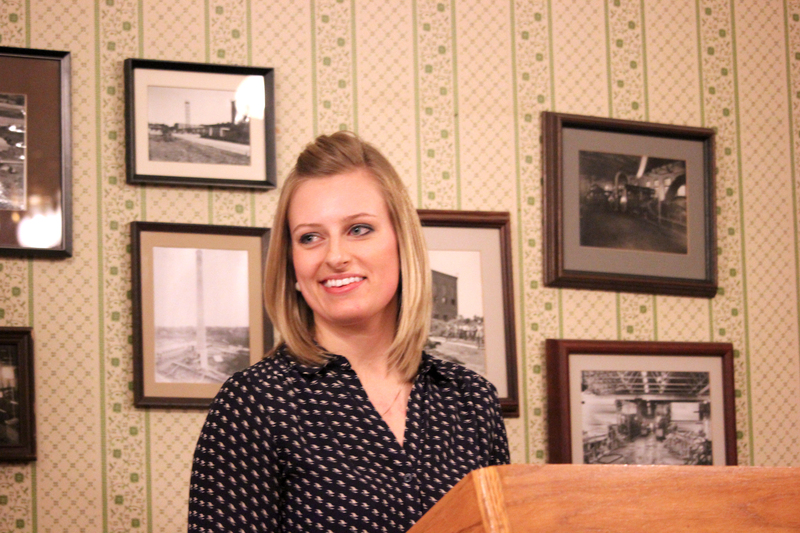 Laura Haw, of McKenna Associates, presented the village’s updated master plan to the council at its December meeting. She worked closely with the Planning Commission during the fall to refine and complete the five-year plan. It is available for public review and comment until the council’s March 2 meeting. In one fell swoop, the Vicksburg Village Council approved the updated Parks and Recreation plan for the years 2015 through 2019, adopted the Tax Increment Financing (TIF) plan to reset the boundaries of the Downtown Development Authority (DDA), and took the first step at adopting the 2015 Village Master plan at its December meeting. These actions are likely to have far reaching effect as grant funds are requested from various pools of money. Vicksburg is in the business of improving the downtown via a study provided by McKenna Associates, which has been under study during the 2014 calendar year, according to Kathleen Hoyle, the DDA director. The boundaries of the TIF changed dramatically to take in the Leja Industrial Park, the now abandoned Simpson Paper Company property, and larger chunks of the downtown. The only taxing unit to disagree with the plan to capture incremental taxes from these properties in the future was Kalamazoo Valley Community College’s board of trustees. As the assessment increases on all the properties in the TIF plan, the DDA will have more money to pour into projects such as parking lot improvements, façade upgrades on the businesses, and event planning. The master plan is available on the village web site for download or in hard copy at the library and village hall. It is open to public review and comment until the March 2 village council meeting when it is scheduled to be approved. In other action, the council approved a one-day alcohol license for the Vicksburg Chamber of Commerce as it revives the February Ice Festival and chili cook-off set for February 7. This event will begin with the annual Frostbite 5K run at 11 a.m. and end with the announcement of the best chili presentation at 5 p.m. according to Steve McCowen who brought the Chamber’s request for the event to the council meeting. Earlier in December the council heard from the DDA about its desire to strengthen village ordinances. The goal is to target the empty decaying buildings in the downtown and use enforceable ordinances to compel the owners to clean their structures up. Council member Chris Newman and a planning commission member promised that a complete review of all the village ordinances is in the works for 2015. Each council member was given a job to do in relation to the strategic plan last April and each member was called upon to tell what had been accomplished under his or her auspices and what needed to be carried over into 2015 to complete or set new goals. One of the biggest jobs fell to Trustee Colin Bailey to secure free Wi-Fi for residents to use while in the downtown area. This has been partially achieved and he is looking to provide the cost to the village for future enhancements.